Prior to Indonesia, he was the country manager for DHL Supply Chain Vietnam and chairman for the Dutch Business Association in Vietnam. He has held numerous executive and management positions in various sectors and services such as Spare part logistics, freight forwarding, retail, consumer, technology, transport, project management to even managing construction of high bay warehouses in India and Cambodia. His vast and wide experience has propelled him to where he is right now. 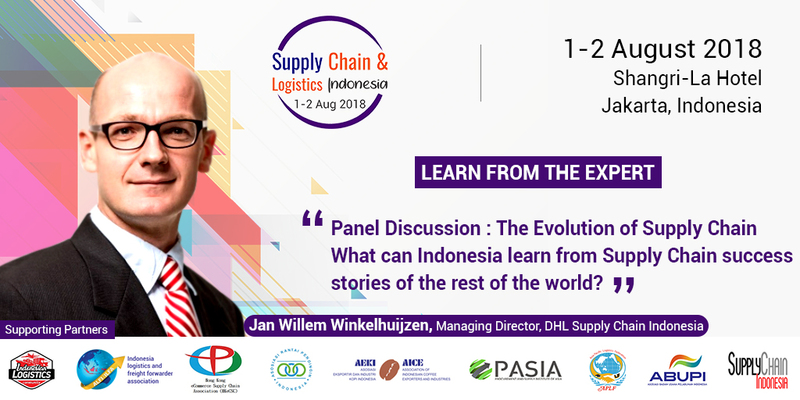 The Evolution of Supply Chain – What can Indonesia learn from Supply Chain success stories of the rest of the world? Given the vast geographical spread, and complexities of distribution, Indonesia has its unique set of challenges in Distribution and Logistics. Efficient Supply Chain Management is the backbone for Indonesia's succes in sustenance and growth. Successful Companies have traversed the SC learning curve and are geared up to integrate all relevant technological advances seamlessly into the SC roadmap. What makes these Companies resilient in the Supply Chain Manufacturing and how they leverage Technology and emerging process solutions?